We have 3 major Patriotic holidays in the U.S.A which are Memorial Day, Independence Day and Veteran’s Day. The largest celebration by far is Independence Day a.k.a. the 4th of July. Many families will celebrate with large cook-outs, pic-nics, pool parties or lake outings! Let’s not forget the parades and the fireworks too! There will be lots of grilling, conversation, laughter and memories made! Host and hostesses are busy preparing and making Patriotic plans! I’d like to share a simple and easy red, white and blue beverage with you today that you may want to add to your menu! This is just one of the simple ideas we used with our family celebration in 2012. I would love to hear about your Patriotic ideas! The red, white and blue layered beverages are all over Pinterest! I’m sure you have seen them. That is where I got the idea from. Unfortunately, it was so long ago, I couldn’t possible remember the original source. Simply layer the red, blue and white according to the amount of sugar content. The most sugar content will sink to the bottom, least will rest on top. Therefore use the one with an in between amount in the middle. This is a great teaching moment with the kiddo’s because this beverage succeeds on basic physics! diet lemon lime on top. Please go follow my Red, White and Blue Pinterest board, here for more great Patriotic ideas! I will be adding more Pins all week! Last year, my husband and I were on vacation at Myrtle Beach during the 4th. We enjoyed a nice hot dog dinner, part of our Hot Dog Tour which you can read about here, and watched the fireworks on the beach. This year we will be celebrating with relatives, eating too much and laughing a lot! Looking for Family Friendly Games? Go here for some great family friendly games we have shared! 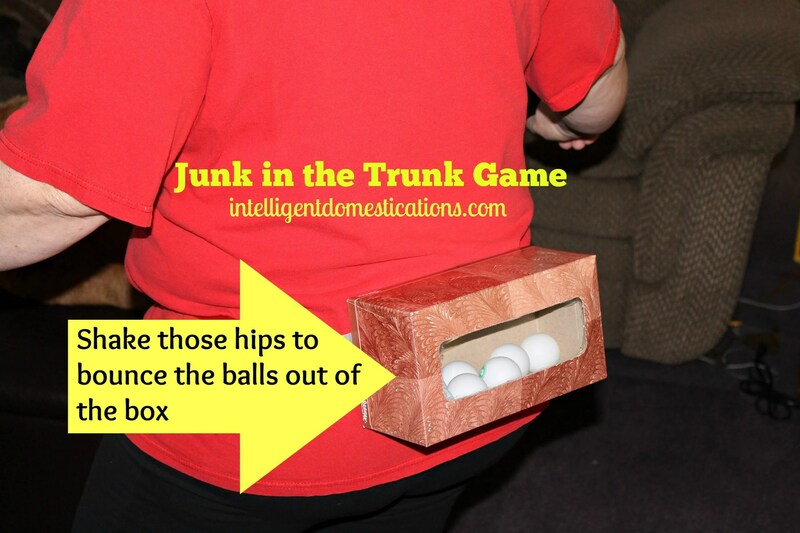 You will find this Junk in the Trunk Game and more! What are your family plans to celebrate Independence Day this year? What a cute idea! And it looks tasty too! They are very tasty! Thanks for stopping by Kristen. SO fun! I think my nieces and nephews would LOVE this and it would be a cute little science lesson I could throw in there for them! I’m so glad you like it Madaline. I did the science with my grand children when I made it too. They loved it, that blend of flavors is really good. Dee Dee, thanks for stopping by. Great idea! And I bet it taste good too! For Canada that would be easy, just some rad juice with white ice ;). It would be easy for Canada. You could actually put the red beverage on the bottom, then a diet lemon lime or diet ginger ale for the white layer, then add the ice. You always have the best ideas! 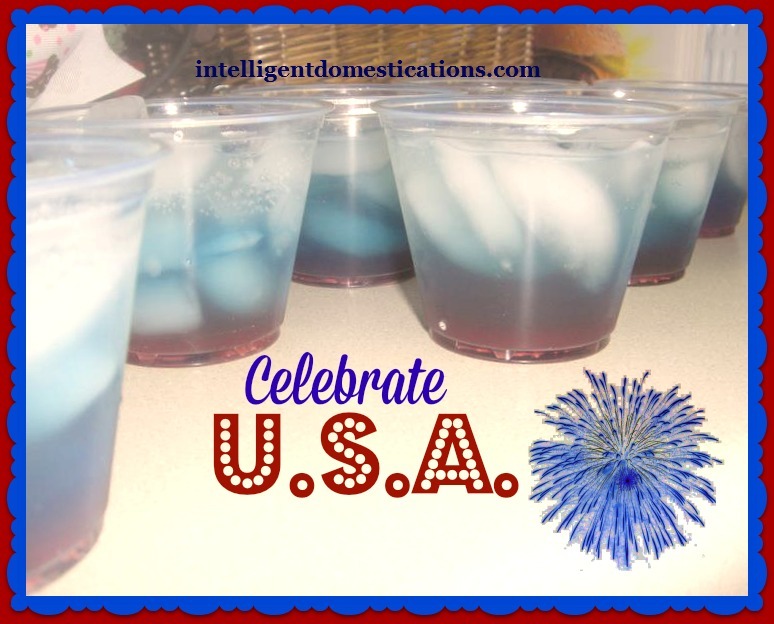 I love having pretty drinks for our gatherings – I can’t wait for the 4th of July Celebration! Thank you for those kind words, Renee. Nice to ‘see’ you again 🙂 Missed you. Okay, this is brilliant, Shirley! My mom’s birthday is actually July 4, so we always have a party for her at our house 🙂 This would be a perfect addition to the yummies! Thank you! Kristen, glad you like it! Wow, your Mom’s b-day is July 4th. That is cool! I’m all over any and everything patriotic! I love the 4th of July. Our church does a family friendly community event, ending with a huge display of fireworks. Looking forward to it! Lovely drink idea! I love it when churches have July 4th events for the community! Yours sounds great! Aimee, you will have to let me know how your family liked it! I love blue Gatorade! This sounds really good! Pinned to my Kid-Friendly Recipes board! That is so neat about the sugar content. I had no idea! Katy, that is an interesting fact, isn’t it. That will make you think!